Actura with the California Association for STEAM Education (CASE) and Space Center Houston have collaborated on more opportunities for youth to attend Space Center University®, a five-day hands-on education program. As a part of the collaboration, youth will have access to a newly developed robotic solution provided by CASE, including a special FlipRobot curriculum developed for Space Center University®. 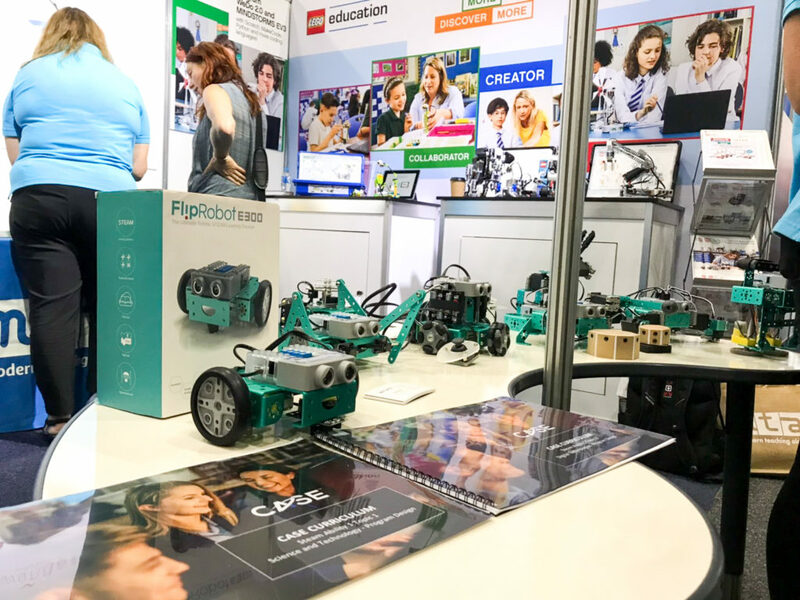 Robotics is fast becoming an integral part of STEAM education as a field which involves coding, developing and operating robots and encourages a wide plethora of survival skills such as problem solving, critical thinking, computational thinking, design thinking, collaboration, communication and most importantly, curiosity and imagination. Educational robotics’ value also lies in developing and understanding the application of STEAM education in and out of the classroom. Many programs and courses, in and out of the classroom, have started to facilitate this form of teaching, and Space Center U is one of them. Combining classroom theory with cognitive and tactile tasks, Space Center University® simulates astronaut training and real-world NASA experiences. Students discover areas such as robotics, rocketry, thermal protection systems and space habitats. In this collaboration, Space Center Houston and CASE will provide an immersive robotic experience tailored for groups participating through CASE. The objective of the robotic challenge is to build a rover module to collect rocks from a Mars landscape in the shortest amount of time and most efficient way possible. A new option that will be given to a group of students is to use FlipRobot to complete that challenge. The FlipRobot curriculum, as well as the hardware and software solution, have been developed specifically for this challenge in close collaboration with CASE and Space Center University®. CASE Senior Space School students will be the first in the world to experience this unique programme in July 2019. 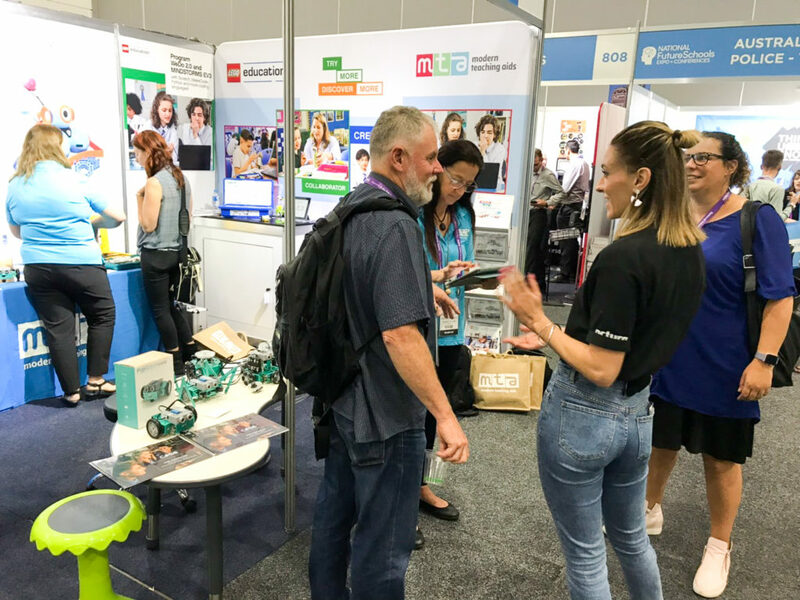 Actura had the privilege of being invited to the Future Schools expo and conference held last week in Melbourne to showcase the FlipRobot range of learning solutions. 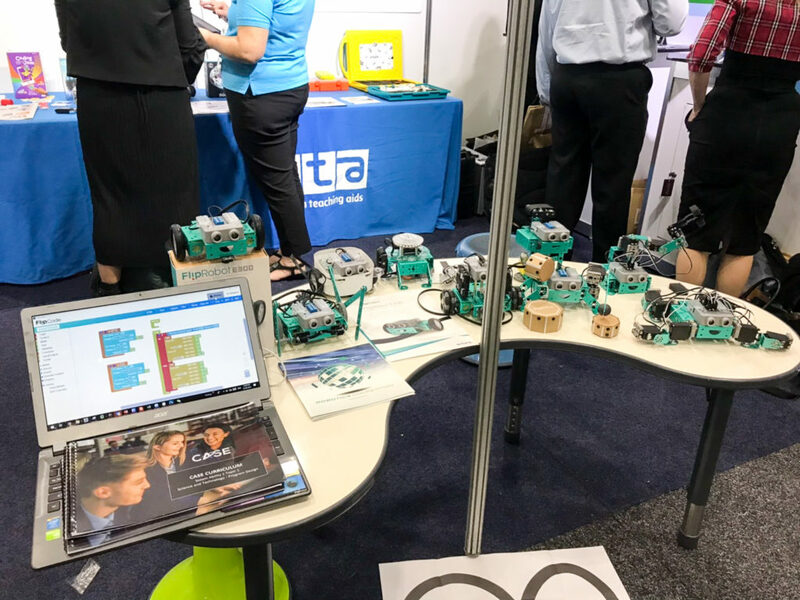 In support of our channel partners MTA and ASI Solutions, Stacey Woods and Kurt Yang were in attendance to discover more about how schools are currently using technology in the class and how FlipRobot would be able to assist in promoting the learning outcomes of the new digital technology syllabus. 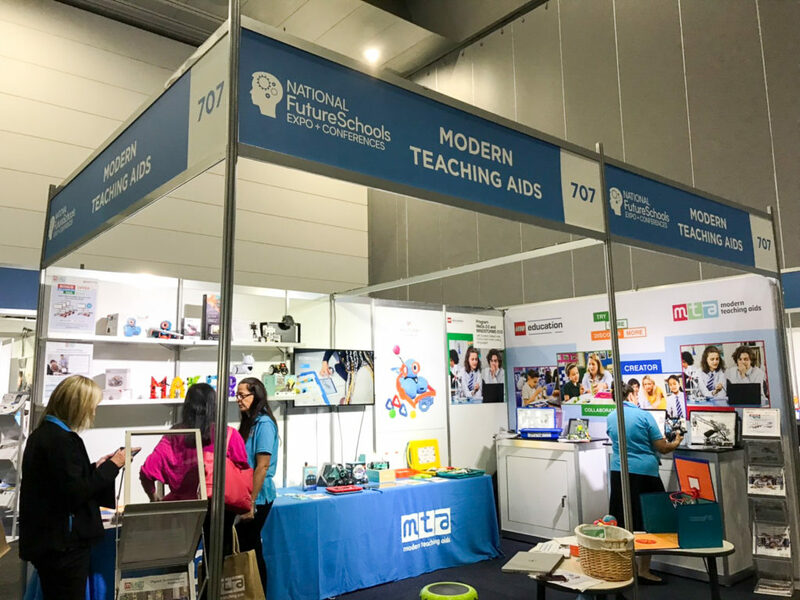 Along with being on the conference floor Actura was also invited to be a part of the masterclass run by Gil Poznanski from the NSW Department of Education focused around practical STEAM learning. Titled STEAM/Maker Bootcamp: The Time For Fun Learning Is Now, teachers were encouraged to get a hands-on experience with FlipRobot participating in construction and programming activities to build their skills and confidence in robotics. What if we told you that right now there is more than 7,600 tonnes, and millions of individual pieces, of space junk orbiting the Earth? These pieces of debris are the remains of disused satellites, pieces of rockets, items left behind during space walks, and they have huge implications for the safety of current and future space exploration. The European Space Agency has stated that a collision with an object larger than 1cm across could cause “mission critical damage.” And as if this were not enough, if we don’t act soon all this junk could lead to the Kessler Syndrome, a scenario most recently portrayed in the film Gravity in which the density of man-made objects in orbit could lead to a catastrophic cascade of collisions that would put an end to space exploration, perhaps permanently. Fortunately, there are scientists across the globe working to solve the problem. 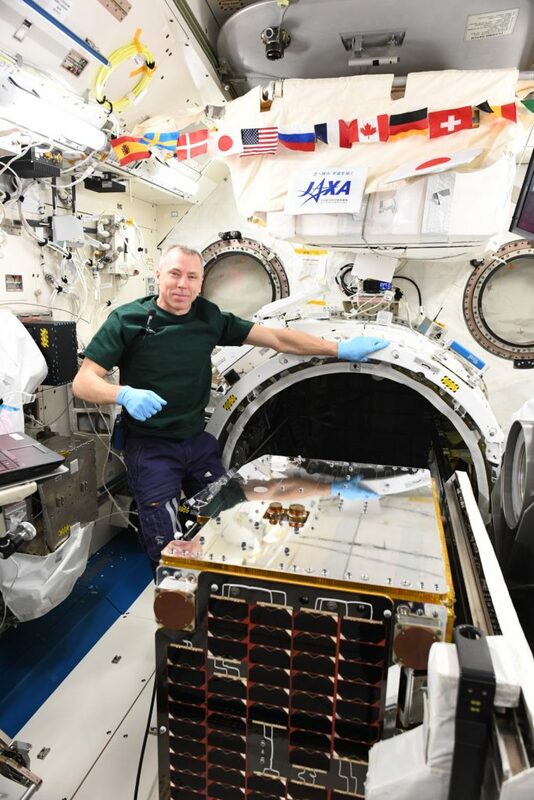 On the 8th of February this year, an international collaborative effort coordinated from the University of Surrey’s Space Centre in the UK saw the RemoveDEBRIS spacecraft successfully harpoon a small piece of simulated space junk at 20 meters per second. The third of four planned experiments for the spacecraft, this method has the potential to capture large satellites in order to remove them from orbit. The harpoon, which in this test was the size of a pen, would be scaled up and reinforced to withstand the force required to capture larger targets. In September 2018 the spacecraft conducted a similar test using a 5m net, which was also successful. The final mission for RemoveDEBRIS is planned for March 2019 and will see the spacecraft use a drag sail in order to exit the Earth’s orbit, and disintegrate upon re-entry, thereby preventing further detritus and providing proof of concept for how to eliminate space junk in the future. 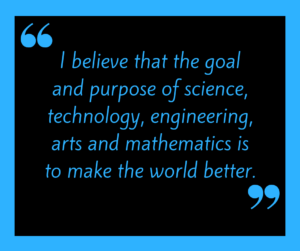 It is for this reason that in 2018 CASE Space School challenged students to work together and explore the possibilities for eliminating space junk in their ChallengeX projects. 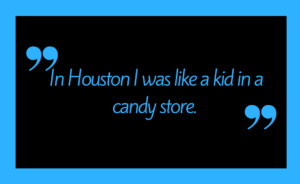 During their time in Houston, students worked in teams to develop solutions to real-world problems. In 2018, we had several groups work on concepts to remove space junk from Earth’s orbit and, due to the quality of student work produced, this theme will be carried through into the July 2019 expedition, and potentially further. Being offered the opportunity to contribute to real scientific issues and present their solutions in front of a panel of judges allows students to uncover and develop their individual skills, as well as share their imagination and innovation with experts in the space industry. Being able to contribute in such a tangible way to topics that are so relevant in the news has the effect of motivating students, inspiring them to commit to their dreams. And who knows: perhaps one day they will invent a workable solution that could rid our Earth’s orbit of redundant man-made materials for good? CASE Space School now offering Duke of Edinburgh Award! The Duke of Edinburgh Award is a structured youth development program available to all young people aged 14 to 24. By learning new skills, improving their physical wellbeing, volunteering in their communities, and taking part in adventurous journeys with like-minded individuals, participants will develop a more comprehensive sense of self, and learn to take responsibility for their future. The Duke of Edinburgh‘s mission is to empower youth to explore their full potential, a goal shared by Actura and CASE. We are proud to offer our CASE Space School students with the opportunity to complete Sections of their Duke of Edinburgh Award while away on expedition. Our Junior and Senior students will have the chance to complete the Skills Section of their Bronze or Silver Awards, with Seniors also having the option of completing their Gold Award Residential Project. We also spoke to Arushi’s parents who supported her in her decision to enrol in both programs. 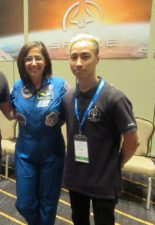 When asked about how they have had an impact on their daughter’s life, they stated that her “Space School expedition fostered her decision to pursue a Double Science Degree at the University of Sydney.” In the words of Arushi herself: “My experience motivated me to study science at a tertiary level. 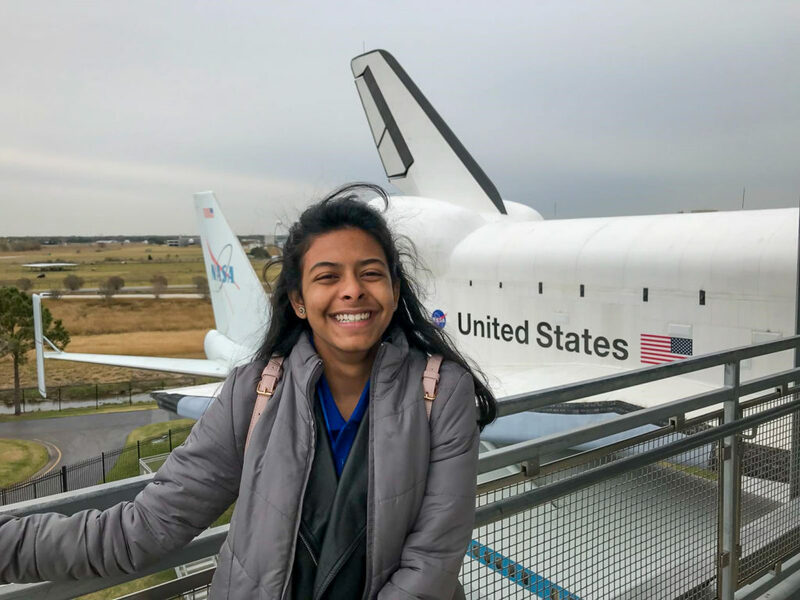 I aspire to one day solve big problems and make a change similar to the researchers at NASA.” Through the Duke of Edinburgh Award, they observed Arushi’s “team-working capability and leadership ability develop,” skills that will see her through her studies and into her future career. The international OneWorld Robotics Competition launches in Australia. 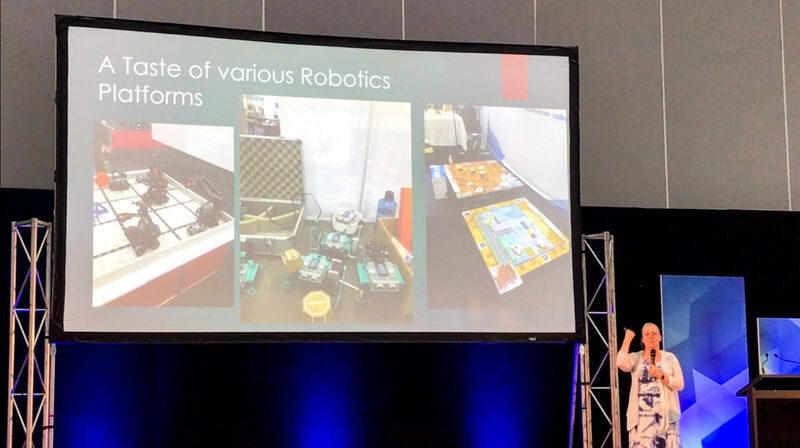 Registrations are open for Australian students ready to be part of the global competition solving real world challenges through creative robotics. Watch the action-packed competition teaser below. The OneWorld Robotics Competition offers students the opportunity to develop and apply critical survival skills in pursuit of solving real-world challenges we are facing right now. Solution categories include Agriculture, Energy, Medicine, Smart Cities, Ocean Pollution, and Climate Change with 2019’s chosen category soon to be announced to registered teams. Teams across Auckland, Brisbane, Melbourne, Shanghai, Singapore, Sydney, and Taipei will compete in their local area competitions, with the top three teams from each area being invited to the Global Competition held over five days in Sydney. With big prizes and even bigger fun, excitement and personal development ready for the taking, OneWorld Robotics is ready to lead the biggest shift in robotics competitions toward a holistic STEAM education experience. 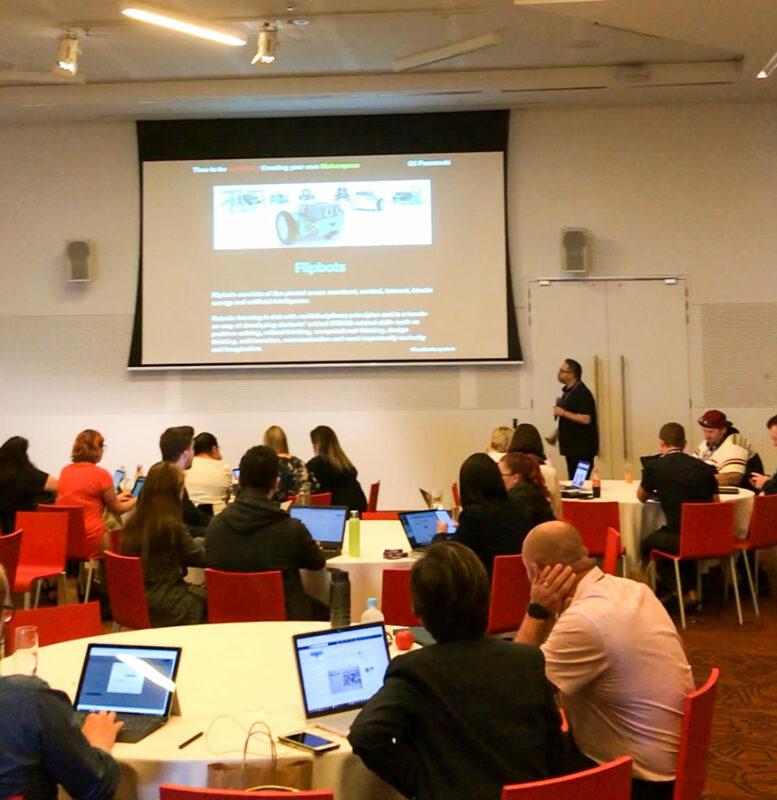 Preparing for the December expedition, Chris Luong, Educator at Victorian Space Science Education Centre and Expedition Group Manager at CASE Space School, takes a journey through STEAM education from Melbourne, Victoria, to Houston, Texas. 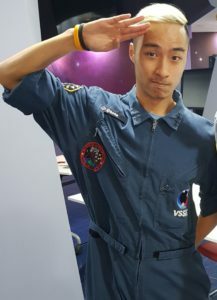 Chris loves everything about his job, especially the dress code – an astronaut flight suit that he occasionally dons while guiding students in scenario-based STEM education at Victorian Space Science Education Centre. The passion and skills for teaching shows. He has recently been complimented by HRH Prince Andrew, Duke of York during his visit to the Centre on what a great teacher he is. I wonder if he always wanted to be a scientist working with kids. “I always wanted to be around aeroplanes, was fascinated by everything, take-off, landing, airports … so I wanted to be a flight attendant. It would be perfect because they fly all the time.” That changed a little over the years and he wanted to become a pilot. But he realised that this is perhaps too much responsibility. Still, he was always good at Maths and Science and went to study Aerospace Engineering at Monash University. “It is a fact that this is a learning experience – not just learning about STEAM but also the seven survival skills and additional CASE components – that’s where I saw the students grow as a group and a team. I could see amazing change in students albeit it was only two weeks. There was a student, for example, who didn’t want to participate in the Energy Zone in the morning because he felt dancing was for losers. And to be honest, there were a few who were reluctant to do it. And yet in week 2 they were all doing it and wanted to do it more often. It was amazing how the experience affected and influenced every single one of my students. 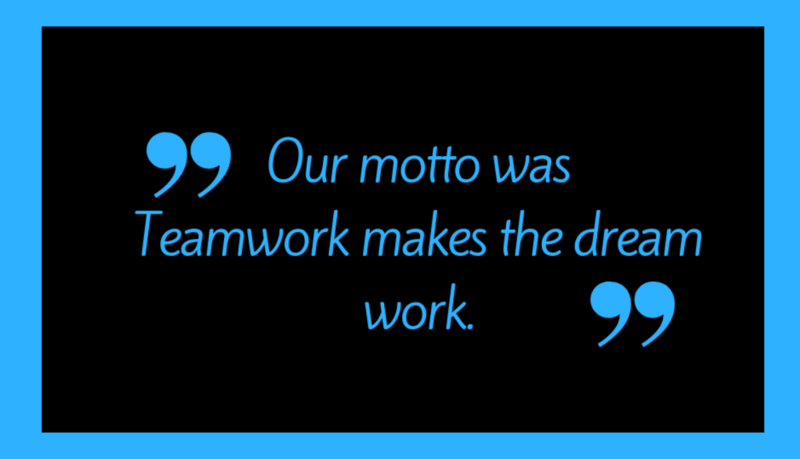 They were more aware of themselves, they understood how the team works. Even though students were far away from home and probably pushed to the edge of their comfort zone and had to work through lots of everyday issues without their usual support network, they flourished. “I always say that CASE Space School is a camp in America where groups live and experience things together. 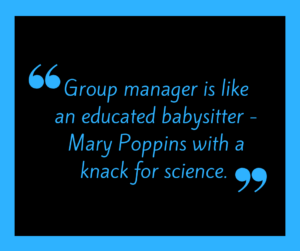 Group manager is like an educated babysitter – Mary Poppins with a knack for science,” he says cracking another smile. The kid who always knew what he wanted is ready for another step in his career. He’s getting ready for take-off to Houston in a few weeks and then returning to a new challenge: In the end of this year he is finishing his role at the Science Centre. He has landed a graduate role at Virgin Australia, so he will be working for an airline, which is his childhood dream. Best of luck, I say and hope to catch up again for another conversation. Post 1-Is Peter Beck New Zealand’s Very Own Sheldon? Is Peter Beck New Zealand’s Very Own Sheldon? Do you remember your local Sheldon while growing up? That quirky kid who had the brain of a genius and the ability to annoy all generations equally with his or her unhealthy interest in knowledge, obsession with schoolwork or simply the ability to quote countless passages from everything from Complete Works of William Shakespeare to A Brief History of Time? Your local variety of a know-it-all. Smarty-pants. A cross between Hermione Granger on steroids and sober Sherlock Holmes. Perhaps it was even worse, and you had a Howard … that distant cousin of the Weasley twins who constantly experiments but lacks the confidence of Fred and George? Apparently, Invercargill in New Zealand had both in one: the kid who wanted to build rockets when he grew up, and the kid who strapped a rocket engine to his bike when he was 18. 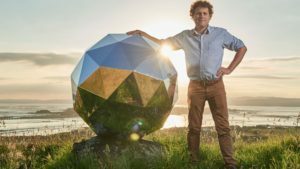 He is now the CEO of Rocket Lab, the California-based company famous for its vision to make space more accessible via its Electron rocket. The “It’s Business Time” launch in November represents Rocket Lab’s key first commercial launch and is another step on the way toward launching at a weekly rate with another launch scheduled for December and 16 launches planned for 2019. There is no doubt that this is a person who is admired, well-respected in the industry and a space force to be reckoned with. Whether he is still a Sheldon or not … It depends. Of course, if you subscribe to “I Hate Big Bang Theory” group, you will disagree. Because Peter Beck is likeable. He is the public face of a satellite launching company that employs 200 people. He is no longer mocked for his vision but is instead congratulated by dignitaries and politicians. And yet this is exactly what makes him ‘Sheldonesque’ at his core: the passion, following the vision, and enviable work ethics (setting any dislike of the TV series character Sheldon aside). And it is that devotion, commitment and pathos that make him a role-model. The BBT Sheldon would scoff at the fact that Peter Beck never received formal university education. Space industry doesn’t. Peter Beck learnt what he needed to learn on the job. He believes that “with engineering, whether you apply it to a rocket or anything else, it’s all kind of the same”. No formal training perhaps, but what he has always had (besides Sheldon’s passion for science and drive) is entrepreneurial spirit. He was incredibly curious and imaginative as a child. And he still is. He embodies critical thinking and problem-solving. If not himself, he actively recruits people who do. 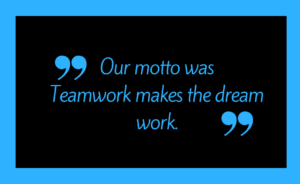 He believes in collaboration and actively promotes it in his own company. The company, as it is expected of a start-up, lives and breathes agility. Peter Beck, in short, is a walking example of a scientist-entrepreneur of the 21st century. A textbook of Seven Survival Skills. A live advertisement of skills that bridge the gap between traditional education and the much-needed tools to dream big and succeed in an increasingly competitive global future. A role model for the young, a cool Sheldon of space science and an inspiration for the world of STEAM-related education and skills.